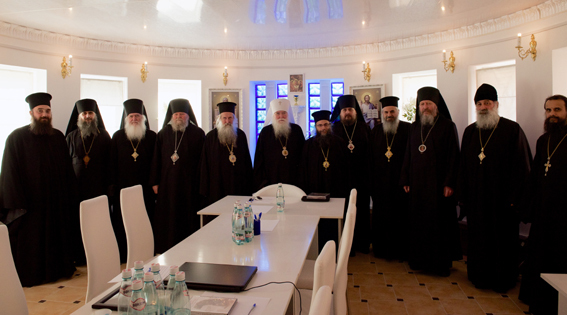 On Tuesday, April 15/28, 2015, at the headquarters of the Synod of the Russian Orthodox Church Abroad (ROCA) in Odessa, Ukraine, a joint fraternal deliberation was held between the Holy Synod of the Russian Orthodox Church Abroad, under His Eminence, Metropolitan Agafangel, who was present with six other Hierarchs (Andronik, Georgiy, Afanassy, Kirill, Nikon, and Roman), and an official Synodal delegation from the Church of the Genuine Orthodox Christians of Greece (He Ekklesia G.O.Ch. Hellados, or the Church of the G.O.C. 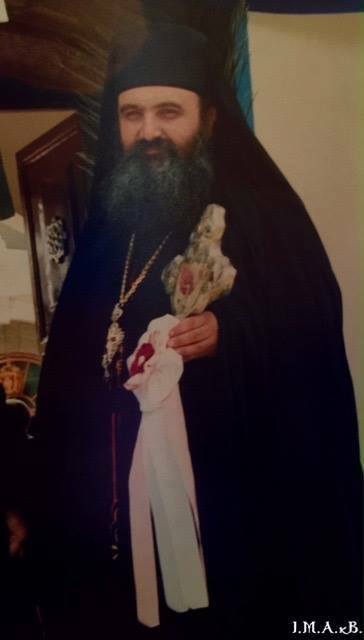 of Greece), consisting of three Hierarchs (Photios of Marathon,Ambrose of Methone, and Klemes of Gardikion) and a Presbyter (Father Michael Konstantinides), who served as their translator. The aim of this joint deliberation was to secure the unity of the two Churches by means of dialogue on certain issues of mutual interest, seen by both sides as needing clarification.